Presentation of didactic methodology as starting point for ICD-Design (1st Intercultural Dialogue Conference). Launch of an interactive website and "virtual carpet of symbols and memories". 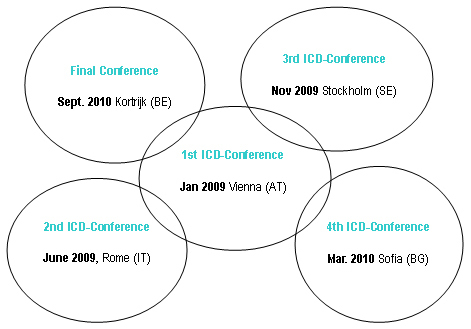 Joint development of key methodological strategies and recommendations in 5 ICD-Conferences. ICD-Design with methodological tools for monitoring (competence compass, ICD-Learning Diary), quality assurance and permanent adaptation. Strategy for recognition of (informal) intercultural learning outcomes. 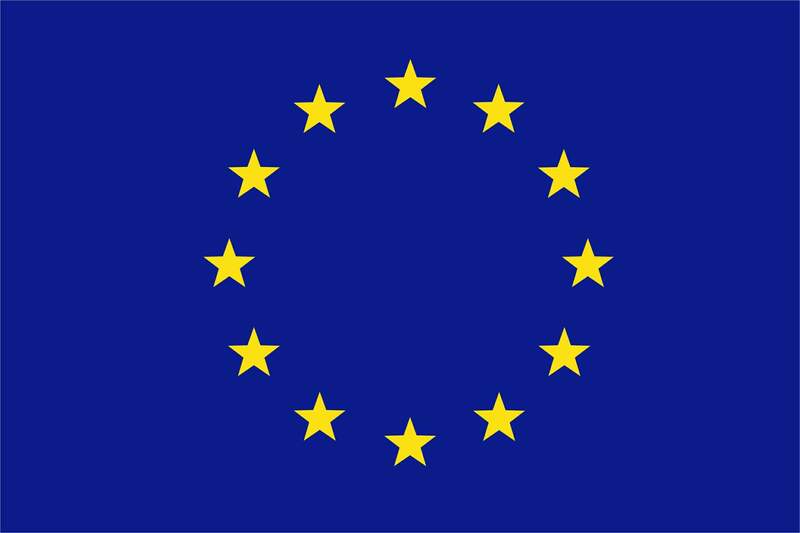 European pedagogical strategies to motivate marginalised groups. Dissemination of outcomes and products. Vienna: "(Past and Present) Border Conflicts and Intercultural Competence"
Rome: "Culture and Art as Intermediaries to Motivate Marginalised Learners, Artistic Expression and Self Consciousness"
Stockholm: "Popular Culture and Cultural Heritage and its Relevance for Lifelong Learning"
Sofia: "Basic Requirements for Lifelong Learning (focusing on South-East Europe) - Infrastructure for Motivation"
Kortijk: "Intercultural Key Competencies, Impact on Business Culture and Labour Market"